We are Globally the Number 1 Supplier of hard to find Stainless Fasteners in any thread form; either right hand or reverse thread. Thank you for visiting our web site supplying STAINLESS FASTENERS FOR CLASSIC VEHICLES OF ALL TYPES and other uses. We hope you find the site, advice, and technical information of use. We now offer several payment options, please refer to the page Payment Information under the Important Links box and choose which option suits you best. YOU DO NOT HAVE TO BUY BOX QUANTITIES, WE WILL SUPPLY FROM 1 PIECE UPWARDS TO 100000+ PIECES. 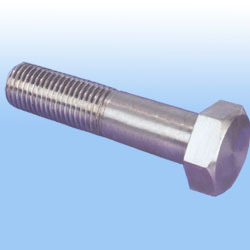 We can now offer 316L fasteners manufactured to order. Please email for details, prices and lead times etc. We now can offer to skim the manufacturers head markings off Hexagon Head Bolts and Setscrews. Thus making polishing the head much less time consuming. This only applies to Hexagon Heads. Lead time 7-10 days. Minimum quantity of Hexagon Heads to get this service is 20. To order this service select the screws you want then add the service and quantity required, we will identify from your order which sizes need skimming. New Product Range now in: MICRO SCREWS & NUTS from M1 upwards, for the model makers. THREAD FORMS, in right and left hand threads. A2 METRIC SUPER EXTRA FINE. A2 UNS & NON STANDARD PITCHES. We can now take orders for various nuts, Hexagon head Bolts and Setscrews and Socket Capscrews for the following Non Standard Threads, listed below. Please email for details. MOTORCYCLE FASTENERS FOR SPECIFIC MAKES inc: ARIEL, BSA, NORTON, TRIUMPH, HONDA, KAWASAKI, SUZUKI, HARLEY DAVIDSON, INDIAN, BUELL etc. MOTORCAR FASTENERS FOR SPECIFIC MAKES inc: AUSTIN HEALEY, ASTON MARTIN, JAGUAR, FERRARI, PORSCHE, BMW, MERCEDES, VOLVO etc. Your one stop web shop for Classic Motorcycle/Car Restoration Stainless Steel Fasteners and much more. WE HAVE NOW INTRODUCED HIGH SPEED STEEL TAPS AND DIES INTO OUR RANGE. THEY HAVE BEEN PRE-USED BUT ARE STILL PERFECTLY USABLE TO EVEN TAP STAINLESS, PERFECT FOR CLEANING UP THREADS PRIOR TO ASSEMBLY. THE FACT THEY HAVE BEEN PRE-USED IS REFLECTED IN THE PRICES. HIGH SPEED STEEL IS THE MOST SUPERIOR GRADE OF STEEL USED FOR THREADING TOOLS. WE CLEAN THEM UP AND PASS ON THE HUGE SAVINGS TO YOU. PLEASE SEE THE LISTING UNDER THE HEADING OF HIGH SPEED TAPS AND DIES. We have attempted to provide the most comprehensive listing of Stainless Parts available on the web with nearly 10000 listings. This includes some parts other suppliers do not list inc: METRIC FINE and EXTRA FINE PITCH HEXAGON HEAD BOLTS, SETSCREWS, ALLEN SOCKET SCREWS, VARIOUS NUT PATTERNS, M7 METRIC FASTENERS, BSCy THREAD IN VARIOUS FORMATS, BSF THREAD HEXAGON BOLTS, SETSCREWS, ALLEN SOCKET HEAD, MACHINE SCREWS, VARIOUS PATTERNS OF NUTS. DIFFICULT TO FIND PARTS IN BA THREAD FORM and GENUINE BSW FASTENERS. We also have our own pattern of ALL-METAL SELF LOCKING NUTS 'GRIPTITE' IN ALL THREAD FORMS becoming available. Whilst we feel this is the most complete selection of Stainless Steel Fasteners currently available on the web we are sure there may be some who think otherwise. If this is so and you need a part not listed please email us with details for a bespoke quotation against your requirement. Our aim is to eventually provide as many items against specific vehicle part numbers as possible. This is not an easy task to undertake as part numbers and descriptions can get mismatched, sometimes information can differ for the same vehicle. The only way we can effectively do this is via you the restorer. After all it is you who knows exactly what you want as you have the physical parts in your hands. So please keep us informed if you can; as information shared empowers all whole love restoring old and not so old vehicles. The vast majority of our products are 'cold formed' that is the method of manufacturing used: basically your part starts life as a section of Stainless wire forced into a die and then compressed to 'form' the product, no heat is used, just immense pressure. This method compresses the molecules thus making a part of a greater molecular density. Greater density = Greater ultimate strength of the finished product. Parts that are turned on a lathe from bar in its raw format can not offer this strength or density (usually ss 303/A1 because it is free machining). If you care to check our important links section there is one giving the tensile strength of Stainless steel that is 'cold formed'. We also feature a section under the same important links that gives you the chemical composition of the Stainless used so you can ascertain the likelihood of corrosion resistance. The cold forming process can be used to produce just about any product once dies are made. The governing factors are economies of scale in die manufacturing and ultimately quantities of required product. Where we have not got the volume to supply cold formed parts we have to supply bar turned items as other suppliers do. Once the volume levels justify the expense of cold forming we will change production to the more advanced and economical cold forming. In fact cold forming is a 'green' method of production as there is little waste once the wire has been produced, only the amount needed is used to produce the part. This is opposed to lathe turned materials that are wasteful as a considerable amount is either turned off the outside of the bar to create the screw shank or in the case of internally threaded products drilled out. This waste has to then be recycled using further energy resources. Occasionally, like many suppliers we may run out of items from time to time, which can be a disappointment, but we always try to keep lead time on replacement parts to the lowest minimum possible. So if this occurs please bear with us if you can, or inform us via email if your item/s become urgent and you can't wait for our stocks to arrive. We will always attempt to keep you informed of any protracted deliveries so you have the chance to make a choice of what course of action to take. Once again many thanks for taking the time to browse our site, our hope is you find what you want; if not then you can always send us an email of the items you require for a bespoke quotation. We hope you enjoy the experience of using our site, its information and ultimately shopping with us. Regards Pete & all the team.